OTTAWA - The Harper government plans further changes to its oft-maligned veterans charter, hoping to take the political sting out of complaints by ex-soldiers threatening to campaign against them in the next election. 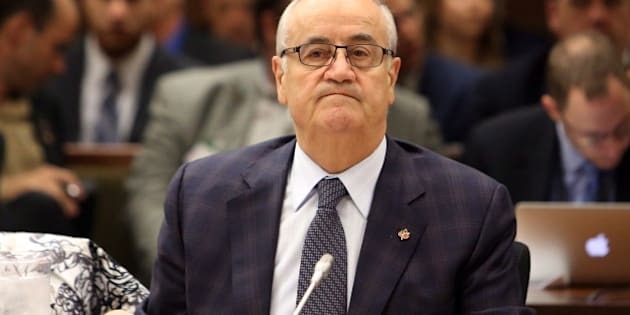 Veterans Affairs Minister Julian Fantino tabled the government's response to a House of Commons committee review, which earlier this year recommended 14 specific changes to the support and benefits regime. Speaking late Wednesday, Fantino pledged to "leave no stone unturned" in the latest reform of the system. The Conservatives last rewrote the legislation covering veterans in 2011. "We are building on our record and the investments we made, (but) it is by no means the end to how we improve our support to Canadian veterans and their families," Fantino said. The department plans immediate revisions that don't require spending or parliamentary approvals, to be followed — perhaps early in the new year — by changes requiring new money and co-ordination with other departments. It remains unclear how much of the second phase will make it into next spring's federal budget, the last before a federal election scheduled for October 2015. The Commons committee complained, among other things, that the pain and suffering awards given to severely injured soldiers don't match what the courts or provincial compensation systems provide. Other fiscal issues, such as ensuring badly wounded soldiers receive financial benefits for life and the disparity in benefits between regular and reserve soldiers, will require "further due diligence," the government response said. The response was a bitter disappointment to NDP veterans critic Peter Stoffer, who said he endorsed the all-party committee's recommendation in good faith and in the hope the government would take decisive action. "To say I am disappointed is understatement," said Stoffer, who questioned the need for more study. "They just want to further delay and deny." The Royal Canadian Legion expressed similar frustration. "The government has had more than enough time, and certainly enough input from subject experts, to be able to take solid action,” said Tom Eagles, dominion president. Liberal veterans critic Frank Valeriote said the least the government could do would be to give veterans an idea of how much longer they'll wait for changes. More symbolically, a rewrite to the preamble of the veterans charter will explicitly spell out Canada's obligation to its veterans — a politically toxic issue that's at the heart of a lawsuit by veterans of the war in Afghanistan. In their statement of defence, government lawyers argued the country has no special obligation to its servicemen and women and that the current government can't be bound by the political promises of its predecessors. The Conservatives propose to remedy that by using language in the old Pension Act, which used to govern veterans, saying the law should be liberally construed to the benefit of former soldiers and federal police officers. Mike Blais, president of Canadian Veterans Advocacy, dismissed the plan as window-dressing. Both incidents were black eyes for a government that has staked much on defending those in uniform. Last fall, the government was accused of standing idle while the military summarily discharged injured soldiers, many of them with post-traumatic stress disorder, before they were ready to leave. The Commons committee recommended no soldiers be discharged until they were in a "stable" medical condition; Fantino's department responded that it intends to become involved earlier in the transition process. It also plans to give spouses access to a suite of services, including a new program to train caregivers to cope with severely injured family members.